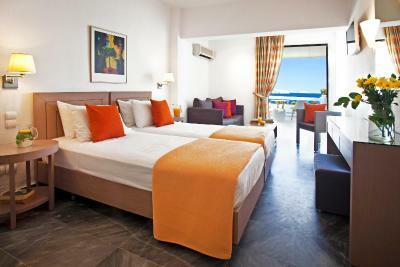 Lock in a great price for Hotel Perrakis – rated 8.5 by recent guests! Absolutely beautiful views from property and very nice common areas. We had a balcony room with a view of the sea; all rooms have this I think. There is a restaurant on site and a few good breakfast served on the open deck. 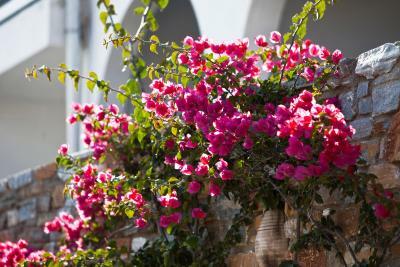 Steps from the beach and only a five minute drive from the port. We only stayed one night because it we were staying with friends on the other side of the island but didn't want to drive at night. It was a great place to start our Greece vacation! Many families were there enjoying the beach and pool. 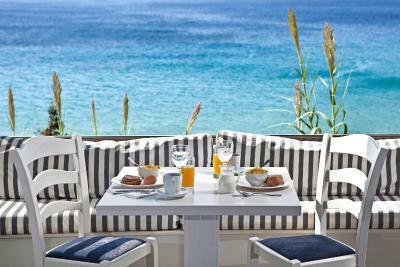 Great full breakfast. VERY fast room service. Free transfer to the Ferry. The stuff is very nice. The beach is amazing. The hotel.is very clean. We enjoyed there very much. The property has it's own pool and beach, which allowed us to decide on going to either without any hassle. Easy access to the beach. Amazing view, comfortable room where you can hear the waves while you sleep. Very friendly staff. Close to the port. I totally recomend this hotel. 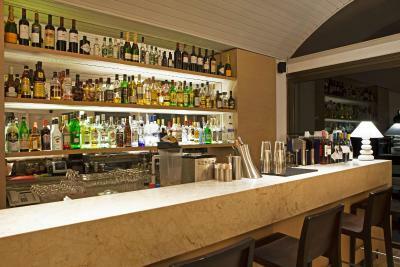 Excellent location, staff & manager are very friendly and professional. Thank you, Daniel. Hotel Perrakis This rating is a reflection of how the property compares to the industry standard when it comes to price, facilities and services available. It's based on a self-evaluation by the property. Use this rating to help choose your stay! 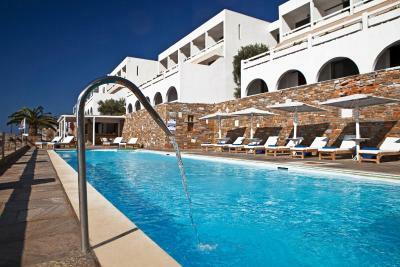 Boasting an outdoor pool, Hotel Perrakis is located in Kypri village of Andros. 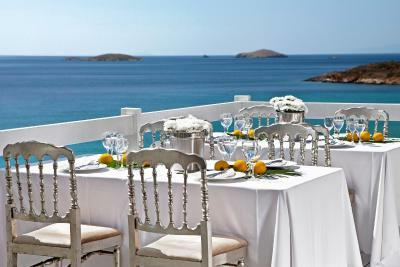 It offers tastefully decorated rooms opening to a balcony or patio with Aegean Sea views. Free Wi-Fi is available in all areas. 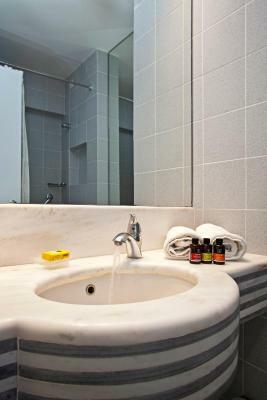 All air-conditioned units at Perrakis Hotel are tastefully decorated and include a flat-screen TV and i-pod dock station. A fridge and safe are also included in each. 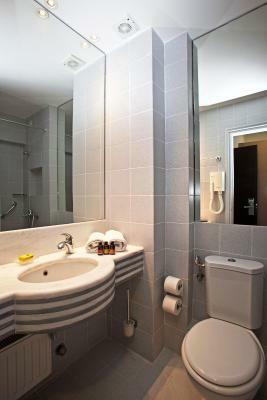 Stocked with free toiletries, the private bathroom also has a bath or shower and a hairdryer. 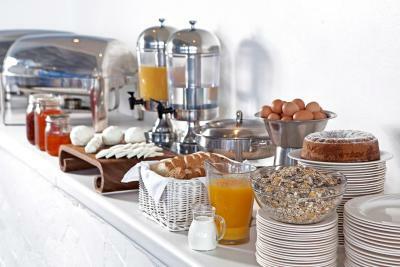 Guests can start their day with the buffet breakfast served in the dining area. 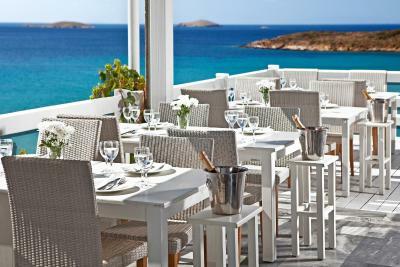 Later, they can enjoy tasty cuisine at Cyclades Restaurant. 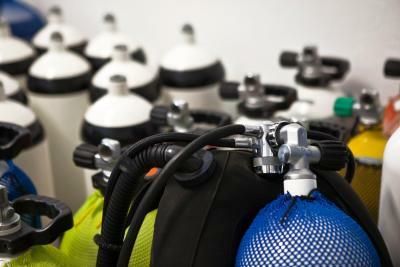 Scuba diving lessons are also provided by the property. The settlement of Kypri is located on the western side of Andros island, just 1.9 mi from the port of Gavrio and 2.8 mi from the cosmopolitan village of Batsi. Free private parking is available in the premises. 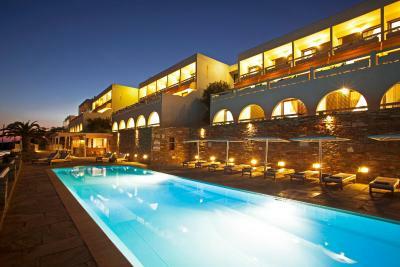 When would you like to stay at Hotel Perrakis? 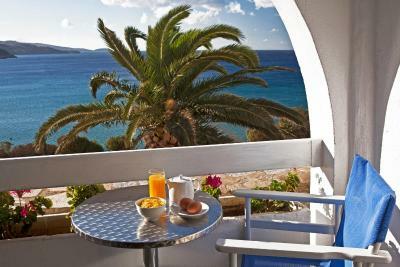 Offers air conditioning, TV and Aegean Sea views. Some units also offer pool views. 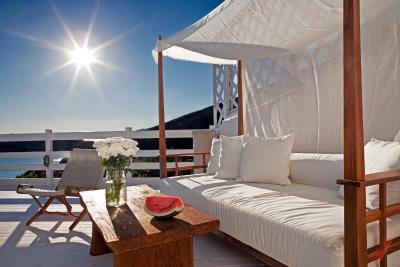 Spacious room with a large porch overlooking the Aegean Sea. 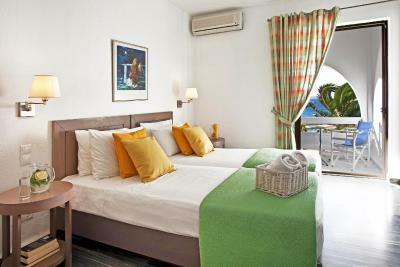 This twin room features a balcony, iPod dock and air conditioning. 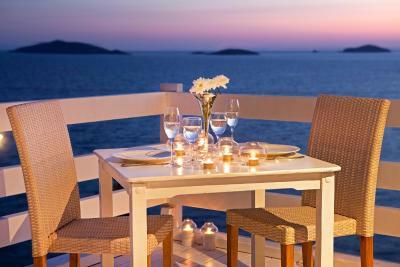 House Rules Hotel Perrakis takes special requests – add in the next step! 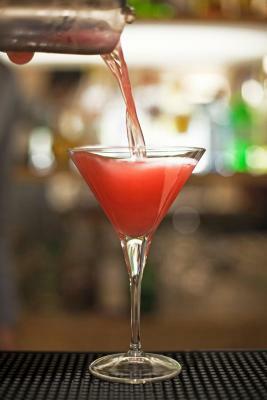 Hotel Perrakis accepts these cards and reserves the right to temporarily hold an amount prior to arrival. Please note that the restaurant operates from 01 May until 30 September. Dinner is served a la carte and costs vary. The timing before season and the hotel has preperations and construction during my stay. Also breakfast isn't what could be expected at this lev. Room size and balcony, wifi and parking. No souvlaki on the menu. 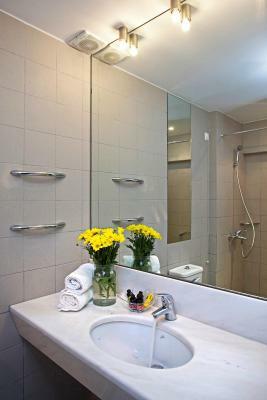 The bathroom is small and the hotel is a bit expensive. There is a road between the hotel and the beach. The view is amazing and the beach handy.